Step 1: Place 1 1/2 tablespoons of wood chips in the middle of the smoker base. Handily, the smoker comes with some chips so you can get started right away. 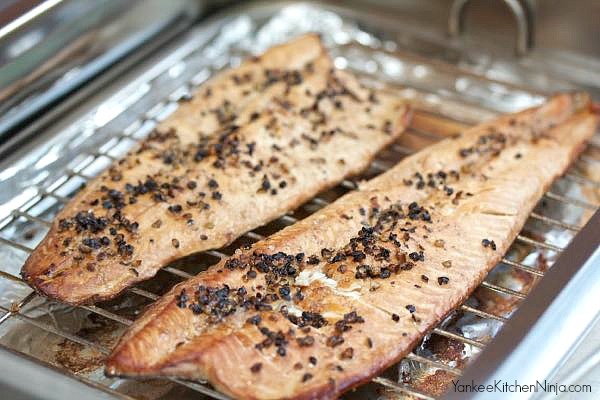 I used alder chips, which are perfect for the delicate nature of fish. But I've also scored some hickory, applewood and pecan chips -- go ahead and get creative! 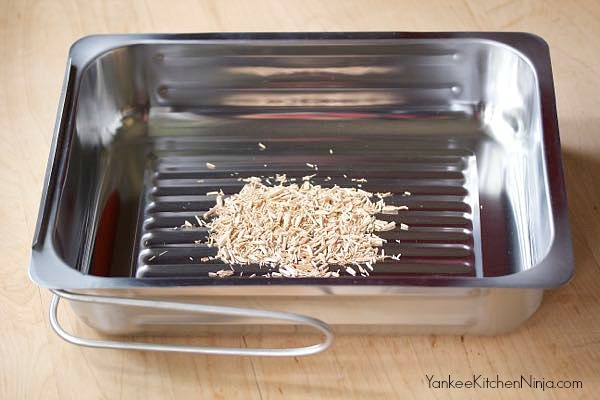 Step 2: Place the drip tray on top of the chips, then set the wire rack into the drip tray. Rinse and pat fish filets dry, then season. Lay the fish filets on the wire rack. I line my tray with foil for easy clean up. For this batch of trout, I sprinkled on my homemade bourbon salt and some whole bourbon peppercorns. If not skinless, place the fish skin-side down on the rack. Step 3: Slide the smoker cover on to the base. I kept the handles folded in, but they do expand out if you prefer to move the smoker that way. Step 4: Place the smoker on the heat source on a medium setting with the smoker lid a tiny bit ajar. Once you see the first wisp of smoke as the chips begin to smolder, carefully slide the smoker cover completely closed and allow the fish to smoke for about 25 minutes. Let the grill heat up for a few minutes before you put the smoker on it. It takes a good 5 minutes or so to see the first wisp of smoke, so be patient. Be extremely cautious when handling the smoker on the grill -- the metal gets super hot. 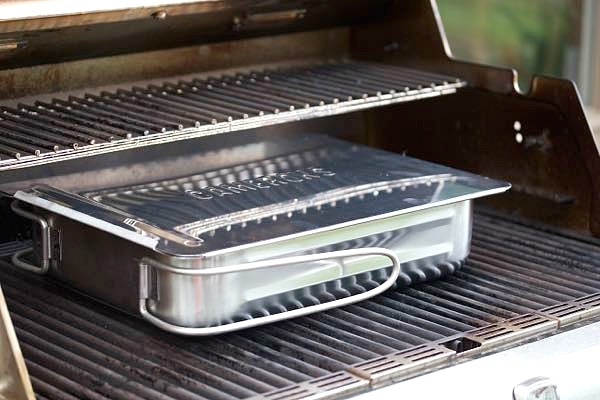 Don't close the cover of your grill! For a moister fish, smoke for the minimum time recommended in the manufacturer's instructions. 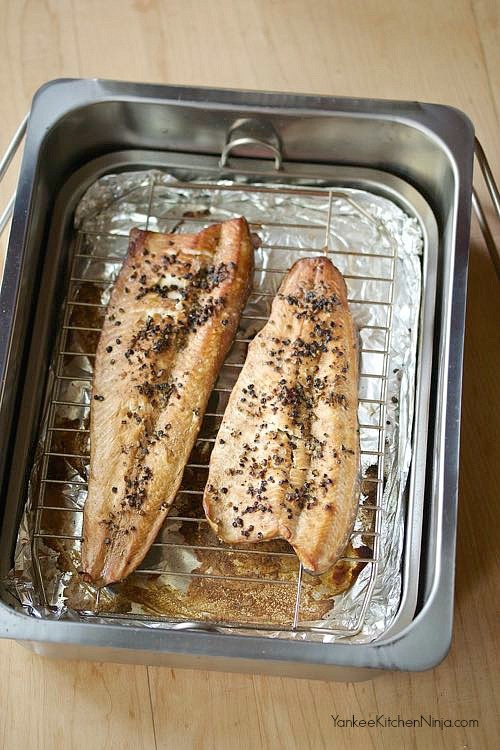 If you prefer a drier, flakier smoked fish, let it go a bit longer. 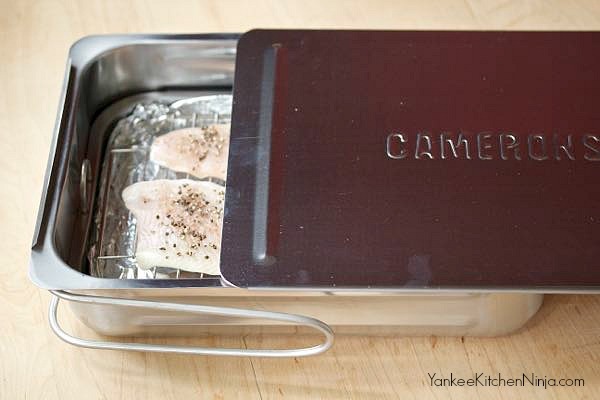 One of the neat things about the Camerons stovetop smoker that I have is that it can even be used indoors on your stovetop (just make sure you have a good hood/exhaust fan!). 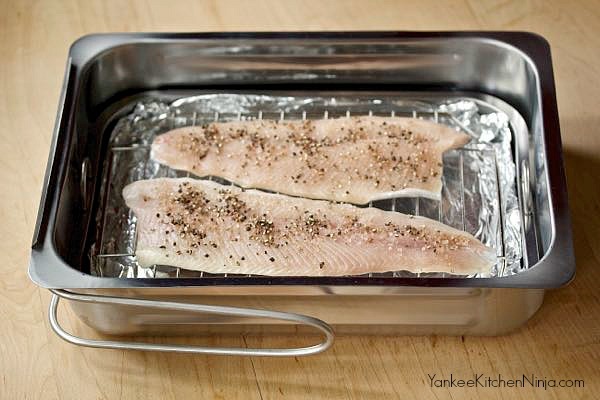 Step 5: CAREFULLY remove the smoker from the heat source, slide the cover off and remove the fish. Once smoked, the flesh pulls away easily from the skin. And remember how I mentioned zero mess? When the smoker has completely cooled, simply toss the foil and the (cooled) wood chip debris and pop the wire rack into the dishwasher. Seriously, what could be easier? And stay tuned because, now that I've gotten you hooked on smoking, I'm next going to show you some amazing recipes you can create with all your smoked creations. 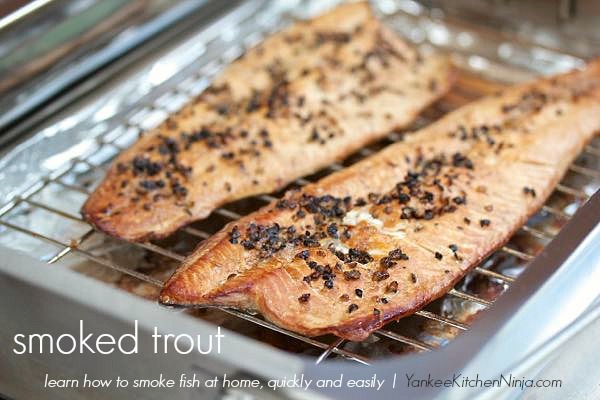 Are you a smoked fish fan as I am? Have you done any home smoking? Leave a comment: The Ninj wants to know. *Please note: Yankee Kitchen Ninja participates in the Amazon Services LLC Associates Program. Following the product links in this post mean that, should a purchase occur, I might earn a little affiliate money, which goes to support this site, so thanks for the love!